Receiving tutoring services can be a valuable asset for children of all ages. 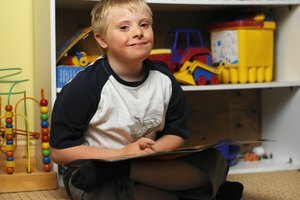 Usually, children with learning disabilities or those who are failing a certain subject will receive tutoring, but there are also benefits for children who may need remediation or reinforcement of skills. The tutoring environment lends itself to ease of instruction. It can take place in a classroom or at a kitchen table. The more intimate, less threatening atmosphere will immediately make the child feel more comfortable. If the tutoring takes place at the child's home, this will also add to the comfort level. For children who are struggling academically, the surroundings are important because they can make the child feel less pressure. This is one of the greatest benefits for many students. In today's large classrooms, children who are struggling or who are quiet can get lost in the crowd. 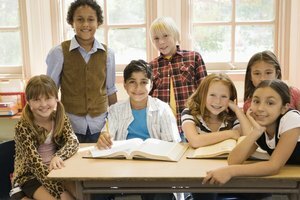 In a tutoring session, with just the tutor and maybe only a handful of peers, a child will open up and ask questions that they wouldn't have during formal class time. Peer tutoring is a great way for children to learn. When a tutor is holding sessions with three to five students, they can help each other. It also helps children to know that there are others who need the same type of help. They don't feel like they are alone. Success can breed success--as one child progresses, the others are more motivated to do so. Efficient tutoring, based on the child's needs with input from teachers, will lead to better performance in school, in daily work as well as tests. This is the end goal of tutoring, but does not necessarily mean that the process should stop once a child receives a passing mark. A child who has improved grades may still need remediation, even if just a few days a week. Some children will need the extra help often and throughout their school career. This is one of the best things about a good tutoring program--it grows with the student and continues to meet their changing needs. Hollowell, Karen. "Benefits of Tutoring." Synonym, https://classroom.synonym.com/benefits-of-tutoring-4870532.html. Accessed 22 April 2019.